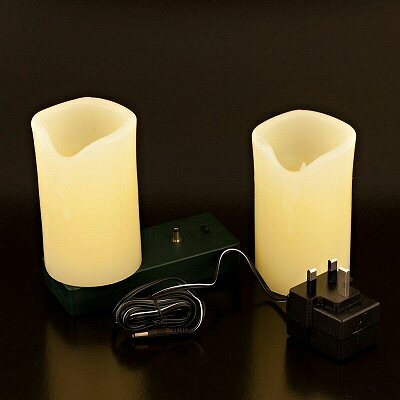 Set of 2 electric battery-operated real melted-look 5-inch wax candles. This electronic candle behaves just like a real wax candle. The LED bulbs flicker more realistically than most other flameless candles. One of the biggest advantages of these lights is the quality of the flicker. Generally, flickering LED candles have a randomised flickering programme cycle, that repeats itself. Lengthen this cycle (which requires more memory in the electronics), and the candle can be made to be more realistic. Our candles contain extra memory to bring you a long cycle of real captured candle flicker, making these candles more realistic than most others you will find. 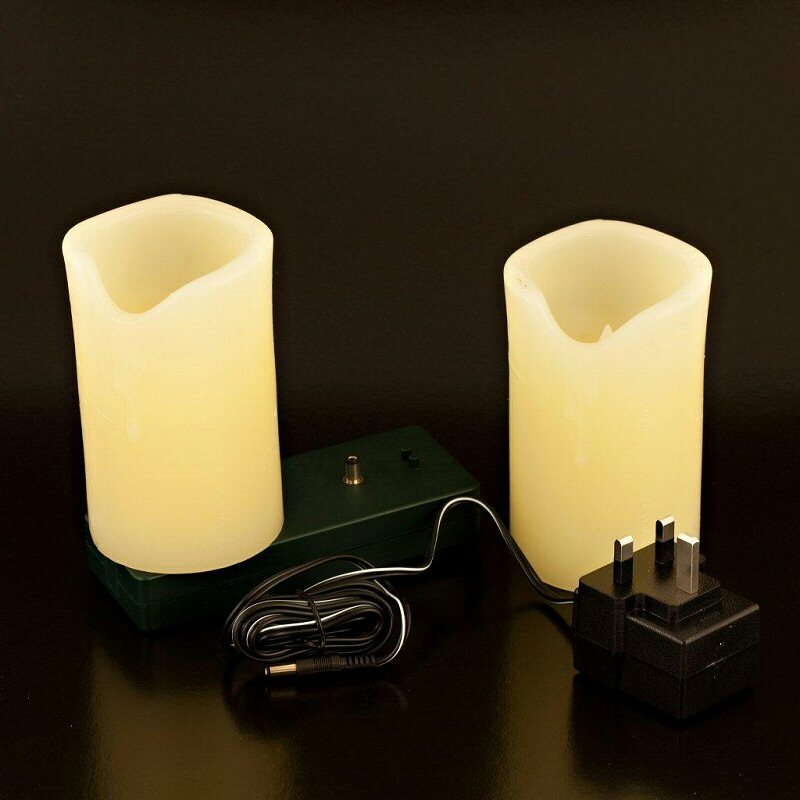 The big advantage of this set is that the candles are rechargeable, which saves both the cost and the environmental impact of throw-away batteries. These aren't the only electric candles, but they are the best - behaving incredibly like a real candle, and this comes down principally to the quality of the flicker. Generally, flickering LED candles have a randomised flickering programme "cycle", that repeats itself. Lengthen this cycle (which requires more memory in the electronics), and the candle can be made to be more realistic. Our candles contain an extra memory to bring you a full 20 second cycle or real captured candle flicker, making these candles probably more realsitic than any other you will find. Our candles also use extra bright LEDs.